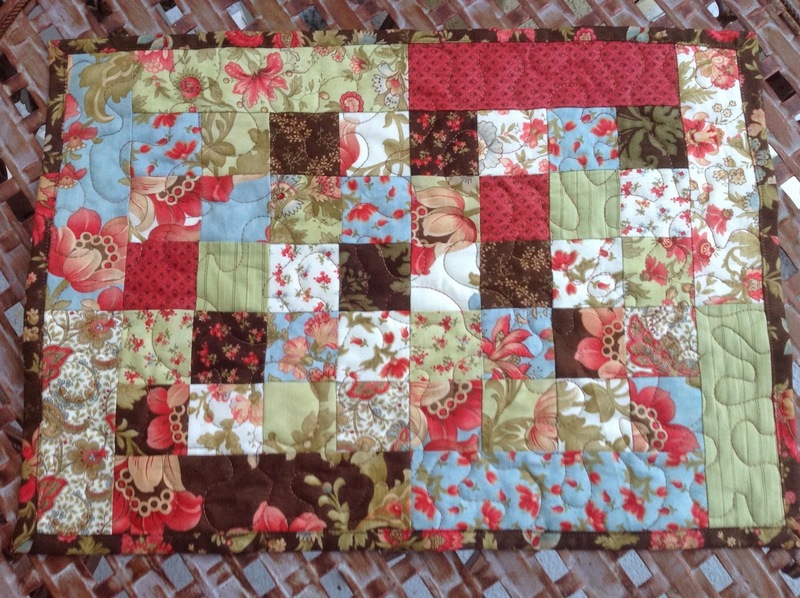 Remember when I did the tutorial called "Book It" on how to assemble a quilt of many blocks? I used a placemant-sized quiltlet for the demo. 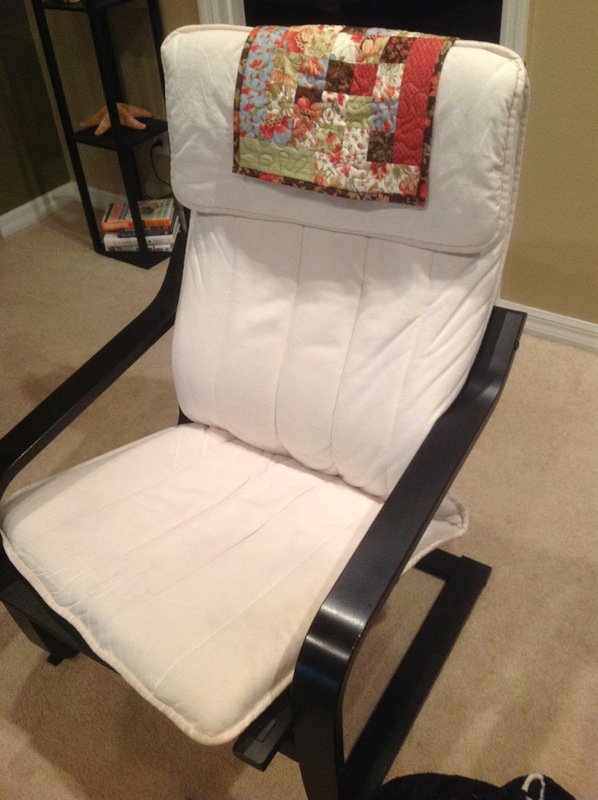 Well, I decided I'd better get it out of my sewing room and back onto my husband's Poang chair! It lived on the chair for a few weeks as a top, but then I got worried the edges would fray too much, so stole it back to quilt it . . . and it got a little buried in other projects. 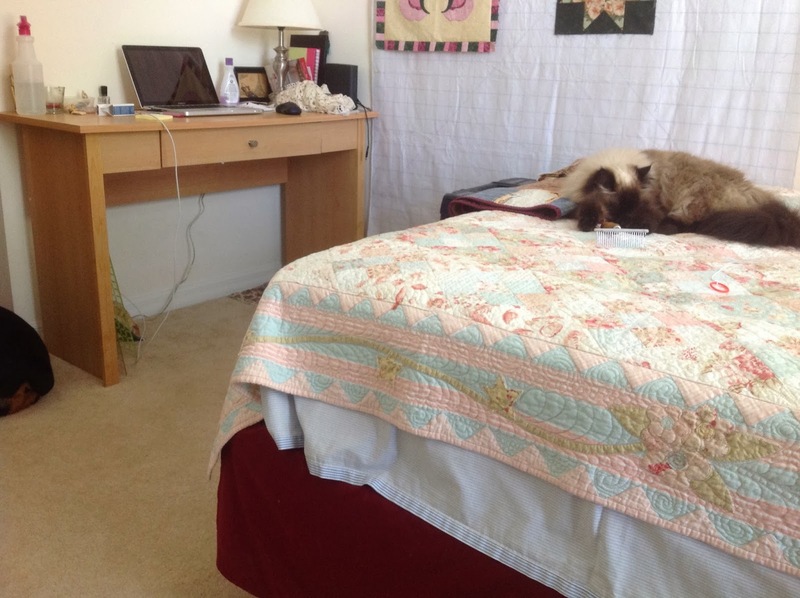 I quilted it with . . . you guessed it, Sulky Blendables thread, this time in the 30-weight. I love how it turned out. 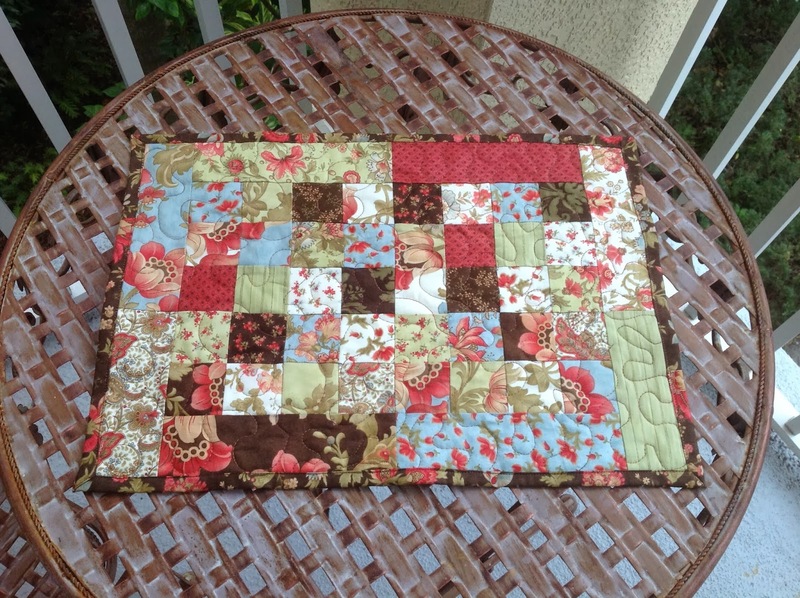 I just HAVE to make a set of placemats like this for myself. Meals on Wheels got two; now it's my turn! But I have a few other projects to finish, I know. 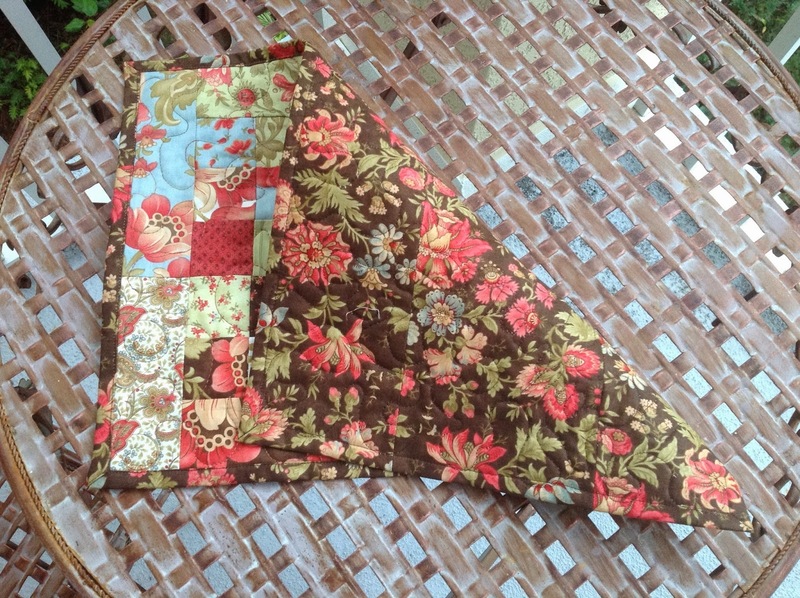 I used leftover scraps from my Turning Twenty quilt. Bella manages once again to find a quilt or pile of fabric on which to rest her shoulder. That's Naala's bum on the left. Today I was thinking about how much we can learn from animals. They live 100% in the moment, never stressing about what did or didn't happen, and what is going to come. 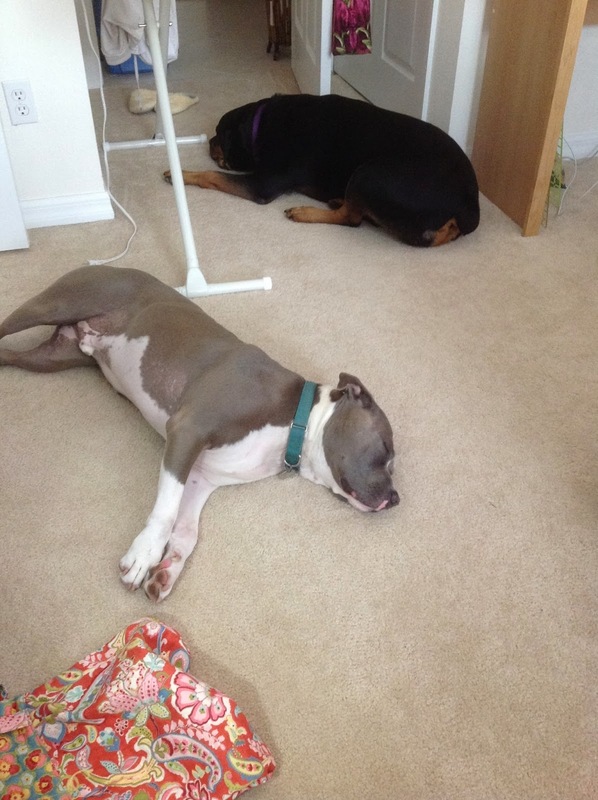 They are so sensitive to mood, and all 3 of mine gravitate to my sewing room, whether it's the sewing/guest room here in our condo, or my sewing room corner of the basement in Kingsville. They sense a place where the ambiance is peaceful, where I exude happiness and contentment, and buzz with the excitement of creativity. I love having their presence in my happy place. Oh that looks great! Love the colours! And yes, we learn (or should) continually from animals. They are more highly evolved in so many ways than we are.